Days of Our Lives spoilers reveal that Stefan DiMera tries to keep Chloe Lane from discovering the truth about him and Gabi Hernandez. 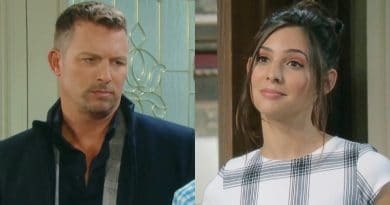 Days of Our Lives spoilers divulge that Gabi Hernandez and Ciara Brady are held captive by the cartel as their loved ones work to rescue them – so will Stefan DiMera rescue his enemy? 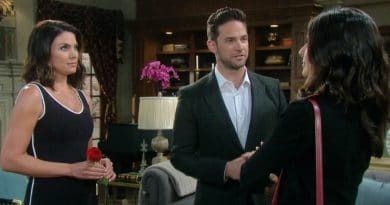 Days of Our Lives spoilers reveal that Gabi Hernandez interrupts Stefan DiMera and Chloe Lane’s romantic kiss, much to Stefan’s annoyance. 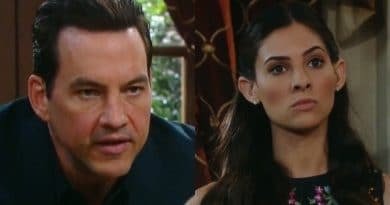 Days of Our Lives spoilers promise Gabi Hernandez one-ups Stefan DiMera. Gabi is reinstated by the DiMera Board of Directors. 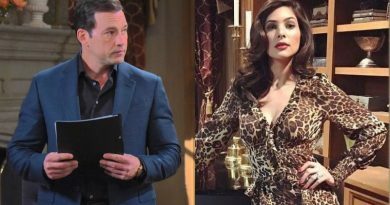 Days of Our Lives spoilers reveal that Stefan DiMera fires Gabi Hernandez and swears to ruin her company Gabi Chic as their war escalates. 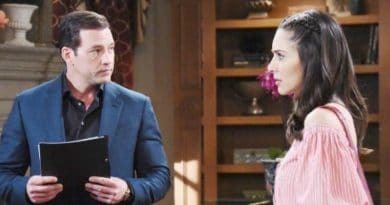 Days of Our Lives spoilers for the week of January 21 reveal that Gabi Hernandez and Stefan DiMera declare war on each other. 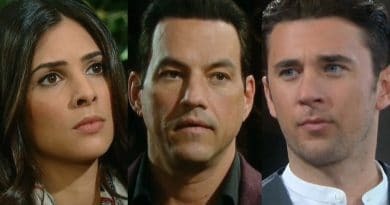 Days of Our Lives spoilers reveal that Chad DiMera, Gabi Hernandez, and Stefan DiMera all fight over the future of Gabi Chic.